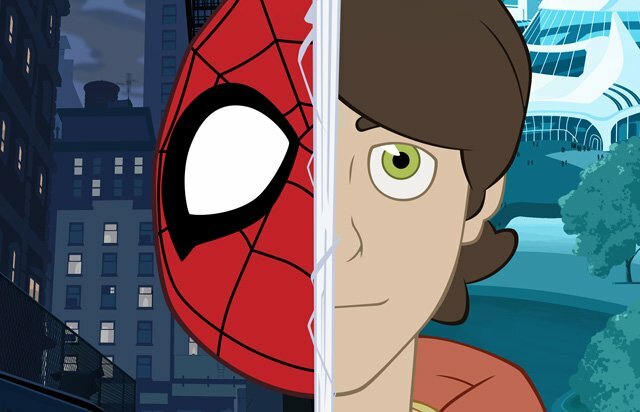 The highly-anticipated new animated series Marvel’s Spider-Man will debut with a one-hour premiere on Saturday, August 19 (7:00-8:00 a.m. EDT), on Disney XD, and on the Disney XD App and VOD (12:01 a.m. EDT), it was announced today by Cort Lane, senior vice president, Animation & Family Entertainment, and Joe Quesada, Marvel’s chief creative officer, during the Marvel Animation panel at D23 Expo in Anaheim. During the packed panel, news was also shared about Marvel’s Spider-Man voice cast, season three of Marvel’s Guardians of the Galaxy: Mission Breakout and an all-new animated special from The LEGO Group and Marvel. Marvel’s Spider-Man voice cast includes: Robbie Daymond (Bread Winners, Get Blake) as Spider-Man, Max Mittleman (One-Punch Man, Transformers: Robots in Disguise) as Harry Osborn , Nadji Jeter (Jessie, Kirby Buckets) as Miles Morales, Melanie Minichino (Blaze and the Monster Machine, Mr. Peabody and Sherman) as Anya Corazon, Fred Tatasciore (Marvel’s Avengers Assemble, Marvel’s Hulk and the Agents of S.M.A.S.H.) as Max Modell, Laura Bailey (DragonBall Z, Marvel’s Avengers Assemble) as Gwen Stacy, Nancy Linari (The Real Adventures of Jonny Quest, The Addams Family) as Aunt May, Patton Oswalt (Ratatouille, Pickle and Peanut) as Uncle Ben, Scott Menville (Teen Titans, Teenage Mutant Ninja Turtles) as Doc Ock, John DiMaggio (Clarence, Samurai Jack) as The Jackal, Alastair Duncan (The Batman, Final Fantasy XIV) as Vulture, and Marvel’s very own chief creative officer Joe Quesada, who is also executive producing the series, as the coffee shop owner Joe. In the new series Marvel’s Spider-Man, we will see a fresh take on Spider-Man, as Peter Parker is learning the responsibility that comes along with being a new, superpowered hero in New York City, just as he’s being accepted into Horizon High, a high school for brilliant young scientific minds. He struggles with the duality of his social life at school and hiding his secret identity from everyone including his best friend Harry Osborn, who attends the competing Osborn Academy for geniuses. As Peter embraces his alter-ego and takes on super villains such as Vulture, Lizard, Doctor Octopus and Sandman, he watches his hero lifestyle come between his personal relationships and struggles to keep Harry from landing on the wrong side of the law. The creative team includes executive producers Alan Fine (Marvel’s The Avengers), Dan Buckley (Marvel’s Avengers Assemble), Joe Quesada (Marvel’s Avengers Assemble), Jeph Loeb (Marvel’s Agents of S.H.I.E.L.D. 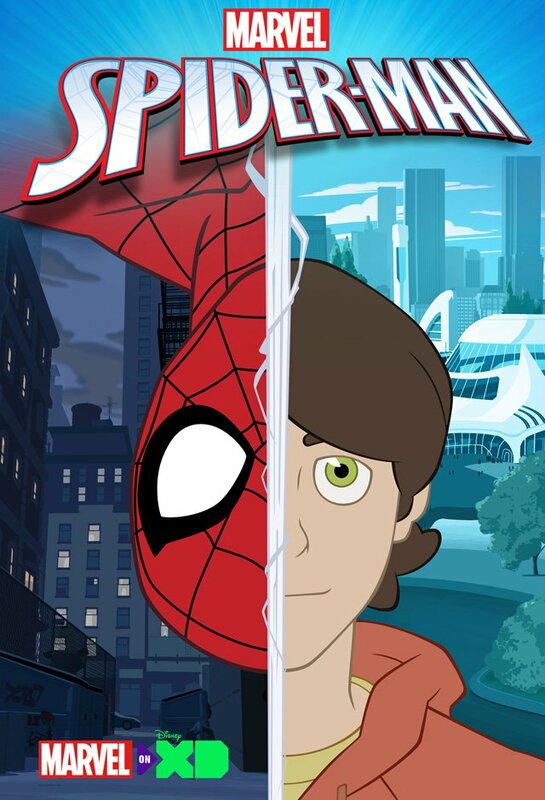 ), Cort Lane (Marvel’s Ultimate Spider-Man) and Eric Radomski (Spawn, Marvel’s Avengers Assemble); co-executive producers Stan Lee (Spider-Man) and Stephen Wacker (Marvel’s Avengers Assemble); supervising producers Kevin Shinick (Robot Chicken, Mad) and Marsha Griffin (Transformers Prime); consulting producers Dan Slott (Spider-Man: Big Time, The Superior Spider-Man), Kevin Burke and Chris “Doc” Wyatt (Marvel’s Avengers Assemble, Marvel’s Ultimate Spider-Man); and supervising director Philip Pignotti (Marvel’s Avengers Assemble). In addition to the new Marvel’s Spider-Man promo below, the Marvel Animation panel also revealed a clip from Episode 8, where we see Peter dealing with the symbiote, and realizing that it’s alien. He heads back to the house and snaps at Aunt May. He fights with the symbiote until it punches him in the face. He tries to take it back to the lab, but Vulture shows up and says his benefactor wants to speak to Peter and knocks him out of the sky. 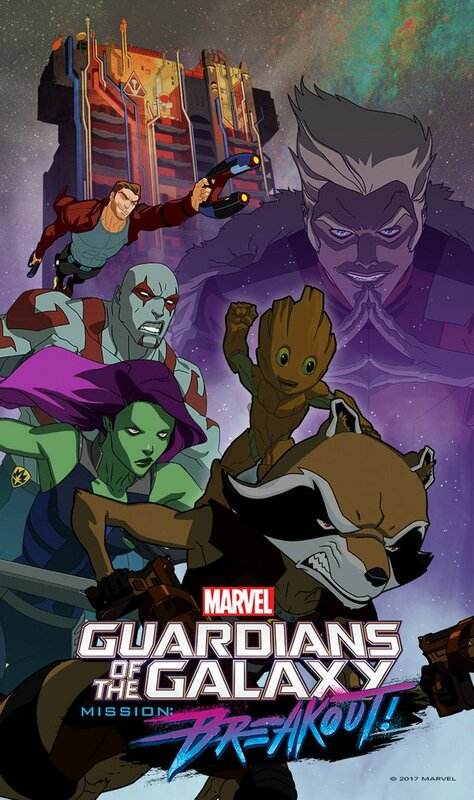 Marvel’s Guardians of the Galaxy series stars Will Friedle (Boy Meets World), Trevor Devall (Johnny Test), Vanessa Marshall (Star Wars Rebels), David Sobolov (Transformers: Prime) and Kevin Michael Richardson (The Cleveland Show), along with Lane and Quesada, announced that the Guardians will return for a brand-new third season on Disney XD titled Marvel’s Guardians of the Galaxy: Mission Breakout. The third season will find the Guardians gaining fame and fortune, but quickly knocked back on their heels after being framed by the Collector. The Guardians will travel to new universes, stage a massive sting operation inside the Nova Corps, and expose a Secret Invasion years in the making. A little bad and a little good – all in a day’s work. Check out all-new artwork below! The LEGO Group and Marvel will team up once again for an all-new 22-minute animated special LEGO® Marvel Super Heroes – Guardians of the Galaxy: The Thanos Threat. When Thanos, Ronan, Nebula and the Ravagers seek to possess the Build Stone – a powerful and creative relic – the fate of the universe depends on the Guardians of the Galaxy to protect it. The platform and release timing details are forthcoming.